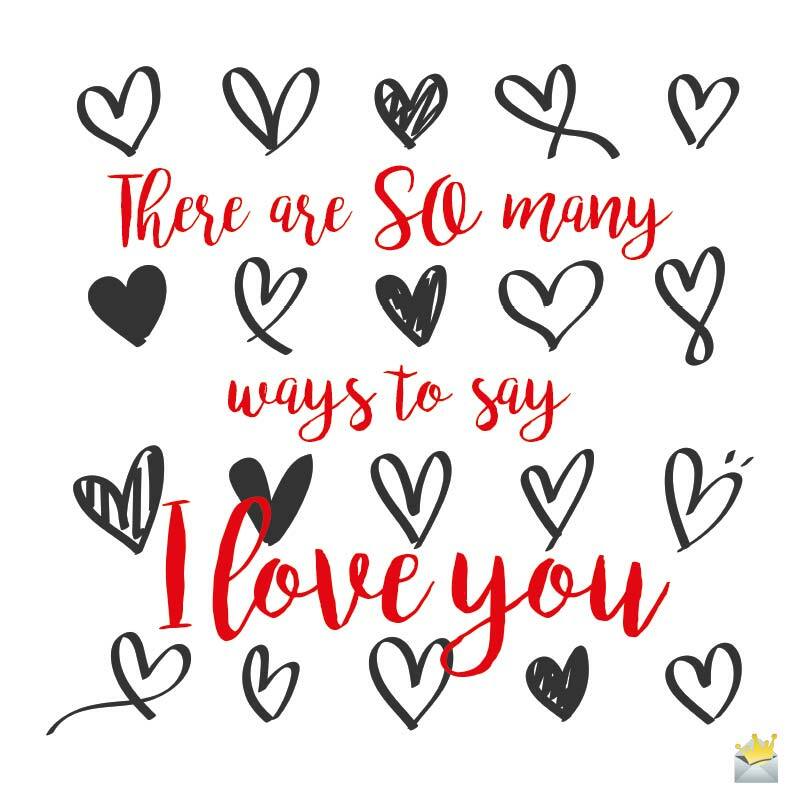 We think any day is appropriate to let your significant other (wife or girlfriend) know how much you care and what she means to you. As a result of this, we have crafted some really profound love messages and poems you can use in melting your darling’s heart and letting her know she’s your number one. I know I’ve not been the best husband/boyfriend in the world, but that doesn’t mean I don’t love you. Sorry for all the pain I may have caused you, and you have my eternal love for your undying patience. You and I are two parts of a whole, but you are definitely the better half. Love you always. They say “behind every successful man is a woman”, but you’re always at the forefront of my heart. Love you, dear. I’m undeserving and as such eternally grateful for a woman of your elegance, grace and character. Love you always, sweetheart. I don’t need a holiday or special occasion to let you know what you mean to me. I’ll love you always, come what may. You’re like a warm, shining light in a cold, dark world, and I never want to experience a day without you. Our love is for a lifetime. The best thing that has ever happened to me is you. I will love you eternally, my darling. Sometimes I get jealous of the time you spend at work, with the kids, with your friends – but manifesting those selfish feelings serves as a humble reminder of just how much you mean to me. I’ll love you always, my dear wife. There are many times I wished I could go in the past and take back things that I said, but I’d rather go into the future focused on loving you more and more each and every day. There are so many ways to say I love you. Every pleasant thought my mind can conceptualize always features the presence of you. The day we got married I knew life was unfair, because I didn’t deserve someone as exceptional as you, my dear wife. If all of the good things of the earth were packed together into one single person that would be you, and you have my eternal love and admiration, dear darling. Every time I get a sudden, inexplicable feeling of warmth, comfort and satisfaction I know that you are near. Love you very, very much. You are the only beauty who can tame the raging beast in my heart. Love you, dear wife. I never believed fate favored certain people until I met you. You have been the million-dollar lotto ticket of my life and I’ll love you always. No achievement in life ever felt like anything until you came into my life. Love you. If they could write a book about our relationship, it would be called “The Eternal Gratitude of a Man for His Sweetheart”. Love you always, dear. The thought of coming home to you is what empowers me to strive for the best every day. I love you. No amount of time, distance or discontent can relinquish my love for you, my one and only darling. Like a tree strengthened by time, my love for you grows with each passing day. I totally hit the jackpot of life when you walked into my life. I love you, dear. May the love I have for you, my sweet darling, still be spoken of in songs a thousand generations from now. My affection for you is as timeless as your beauty. If Shakespeare were alive, he would write a classic about my love for you. My heart pumps with a beat that forms the baseline of our love. I’m privileged to have you as my companion for life. My love for you is so strong that I’d rather be single than have anyone other than you as the love of my life. Every time I fantasized about having the perfect wife/girlfriend, I now realize she wasn’t half the woman that you are. I love you, dear. I’ve had people tell me how lucky I am to have you as my loving girlfriend/wife, but that doesn’t even begin to express how fortunate I feel to have you as the focus of my love. Marrying you was like winning a gold medal at the Olympics. You will forever be the light of my life, dear wife. 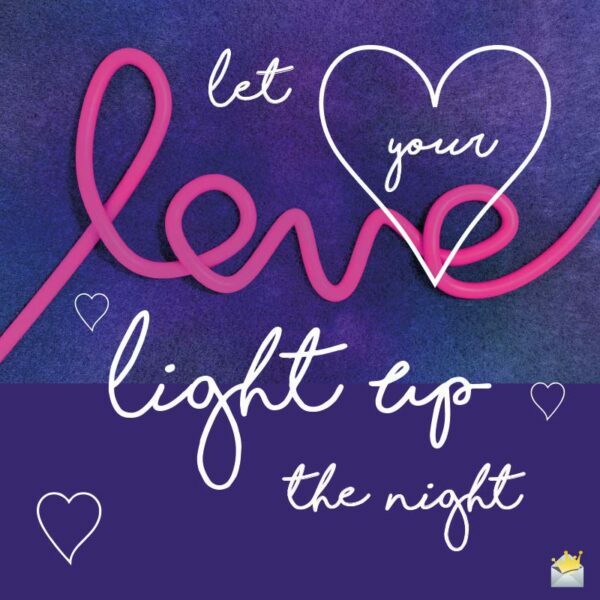 Let your love light up the night. My heart revolves around yours with the grace of celestial bodies around the sun. Thank you for being my loving partner and my shining star. If you hold my heart up to a mirror the reflection would be an image of you. I will forever love you and cherish you. If you search the annals of history for every love song ever written, words still would not be found to adequately express how I feel about you. Man couldn’t build a wall high enough to keep you away from my love, most sacred wife. If your body was a country, then I’m the immigrant who would sacrifice his life to get to its shores. I love you.